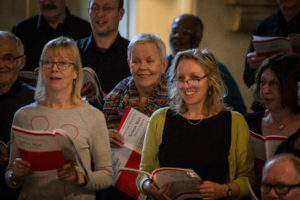 We’re always looking for new members and provide a supportive atmosphere in which to enjoy singing as part of a choir. 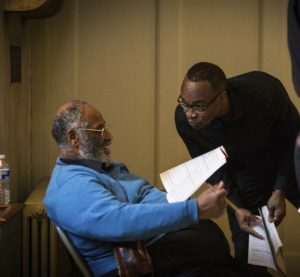 We don’t audition and you don’t have to be able to read music – but you do have to be able to sing in tune. Our musical director is happy to give you some guidance if you are not sure or don’t know which voice part you are. We have fun but we take our music-making seriously – choir members are expected to familiarise themselves with the music between rehearsals. Midi files are available on-line to help. We strive to be accessible to all. We rehearse and perform in venues that are accessible by wheelchair and we are happy to adapt to meet specific needs. Our membership secretary will get in contact with you within a day or two to explain how you can start coming to rehearsals and to make sure that we have some music for you when you arrive. You might also see our Information for New Members. If you would like to download and print out the membership form you can do so here: RFMS Membership form.